Well, I never thought I'd do this, but my love for all things aqua and red have inspired me (or shall I say involuntarily pushed me by way of my OCD) into a nursery makeover. My makeover will be not be a large one and it will take me some time since I am slow (37 weeks pregnant is tough!) and a commitment-phobe when making purchases for my house! 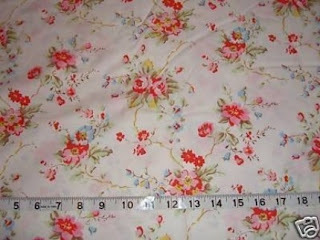 Not sure where I'll put it on the curtains (inner seam, along the top)--suggestions?! Before I end the post, can I also just sneak in my new closet organizers that Courtenay "all-things-etsy" Homan turned me onto?! Where were these thigamagigs two years ago?! I purchased the 0-24 months and also the 2T-6 for the big girls room. So that's where I am so far. Next decisions: paint for the walls (which may send the hubs to an early grave when he finds out we are painting) AND bedding. Hmm.... I haven't found any bedding that I LOVE so it could be the all white route with accent pillows. And with that, I am going to go and put my feet up with a mug of hot apple cider and sit with my two beautiful, darling girls while they (and I) watch Up! for the 100th time this week. I love my life. And I will love it even more when Miss Thing makes her appearance. Three more weeks, people.